When it comes to improving commercial security, there are several factors you need to consider. When it comes to improving commercial security, there are several factors you need to consider. By improving the security of your physical premises, you can make everyone in your building and on your campus feel safer. Here’s what you need to think about when upgrading your security and safety measures. Location, location, location, is a mantra you’ve often heard in business. That because when you are closer to the customers you serve, it makes it much easier to interact with and serve. The advent of the Internet and other modern technologies have decreased the vast distances that once could have been a logistical nightmare. Think about where your building is – an area that is safer, especially after dark, will help attract more customers. You’ll also feel more comfortable operating after dark. Most businesses open early in the morning and then stay open until well after dark, closing late at night. However, once you are closed for the night, you never know who might be trying to gain access to your business. Although it’s not immediately evident, the structure of your building can deter intruders as well. If your premises are several stories off the ground, that already presents one obstacle for intruders to overcome that is almost impossible to do. 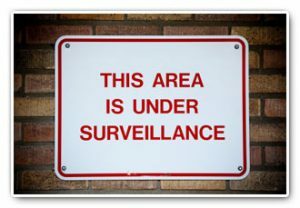 However, if your business is easily accessible from street level, then you will want to take every available measure you can to improve your commercial security. One of the steps you can take is to make it clear what security company you partner with to protect your property. This demonstrates to your customers that they don’t have to worry about their safety while inside and warn off burglars or trespassers. By adding access control systems, you take another leap forward in enhancing your commercial security. That way you can indicate to your employees where they can go and where they should avoid, especially if a particular area is currently unsafe due to renovations or repair work after a storm or other disaster. Your insurance carrier will notice when you upgrade your commercial security. That’s because when you improve your security, you also receive discounts on your insurance premiums and policy payments. Located in Columbia, Maryland, ARK Systems provides unsurpassed quality and excellence in the security industry, from system design all the way through to installation. We handle all aspects of security with local and remote locations. With over 30 years in the industry, ARK Systems is an experienced security contractor. Trust ARK to handle your most sensitive data storage, surveillance, and security solutions. Contact ARK Systems at 1-800-995-0189 or click here today. Check us out on Facebook and Twitter as well! This entry was posted on Wednesday, September 26th, 2018 at 9:41 am. Both comments and pings are currently closed.